Rusted Gingham: A BIG Thank You and a Date to Remember! A BIG Thank You and a Date to Remember! First of all, thank you! Thank you! Thank you! 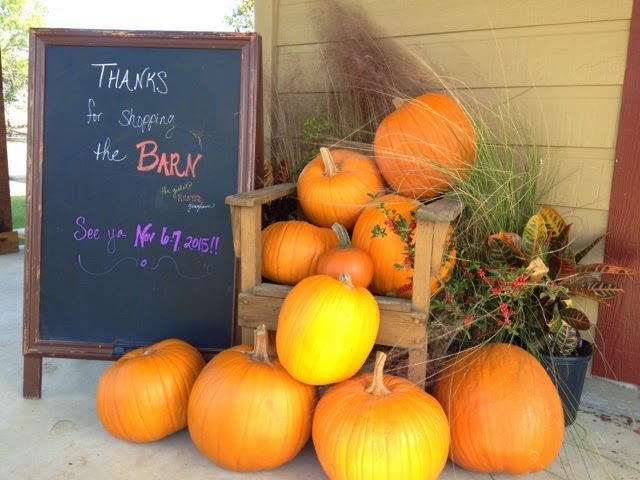 This year's Barn Sale was one for the books--record crowds, tons of fun, and great shopping for all! Thank you to each one of you who shared and invited friends. We couldn't do it without you! We can't wait to see you November 6th and 7th, 2015! Mark your calendar now! Stay posted as well for pictures... pictures.... and more pictures! Our photographer was worn out by the end of the sale by trying to capture all that happens in the Barn!! Vendors and those hoping to become vendors, be sure to sign up for our email list so you don't miss applications for the 2015 sale!